Stop rolling your eyes. I know how cliché it sounds – and I am here to tell you I don’t care, it’s delicious. 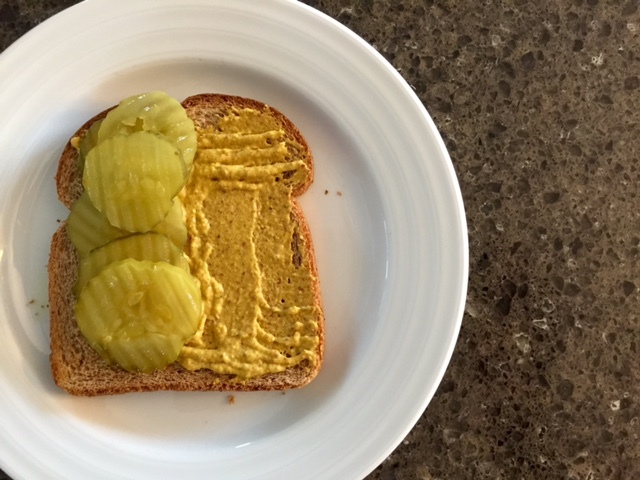 It started during my first pregnancy, I was playing around with some cravings and the pickle and spicy brown mustard stuck. You aren’t supposed to have any cold deli meat when you’re pregnant – which means that is all I craved during my first pregnancy. Anything on the “off limits” list was on my “I need to have right now” list. Pickles – I prefer spears, but desperate times call for desperate measures, and I used the small rounds for this one. 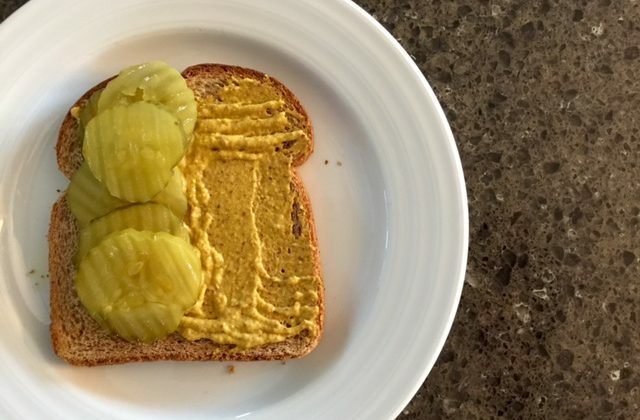 Spread the mustard on the bread. What were your weird cravings that you ate while you were pregnant?